Are you a social entrepreneur, innovator, activist, student or simply someone who cares about achieving sustainable future? Do you have an innovative idea or an example of an existing project that helps local communities solve sustainability issues? It can be a new app that connects eco-activists, a device or a technology that measures your energy consumption, an educational program for school kids – or anything that comes to your mind and helps dealing with sustainability challenges locally. Then the POWER Idea Contest for Sustainable Communities is for you. The contest is part of the EU funded POWER project that explores the use of community-driven digital platforms to share knowledge and experience on water-related issues. Ideas for actions that address the effects of human-induced climate change. Special focus is put on initiatives that raise awareness and preparedness for extreme weather events such as floods and droughts. Ideas on how to ensure access to water and sanitation, water quality, and the development of sustainable water infrastructure. Also actions concerning the protection of water biodiversity are of relevance. Ideas for sustainable water reuse and other resources as well as smart solutions for creating renewable products. Special focus is put on initiatives related to educational programmes and awareness raising. Ideas on how to increase citizens’ involvement in local decision-making processes, as well as strengthening the cooperation between local stakeholders on sustainability issues. Special interest (but nonexclusive) is in ideas that take advantage of digital tools and technologies and/or collaboratively engage citizens. Submit your idea to the website of ONE of the POWER cities listed below. Your idea should tackle one or more of the contest sustainability topics. It could be a sustainability app, an edicational or awareness-building project, a new device that helps you monitor your energy consumption – or anything else that comes to your mind and could potentially help local communities become more sustainable. Show how your idea could solve a sustainability problem in ONE of the POWER cities AND how it could be replicated in another city of your choice. OR send an example of an existing sustainability project that you know and that you would like to see implemented in another city. Explore the submitted ideas/examples on the POWER city websites listed below. Comment and vote on the ideas you like. Your feedback will help the authors of the ideas improve their proposals. This way you will contribute to the collaborative solving of sustainability issues. 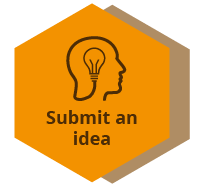 Submit your idea/example or comment and vote on ideas that help Leicester solve local sustainability issues. Show how your idea could be replicated in another city of your choice. Submit your idea/example or comment and vote on ideas that help Milton Keynes solve local sustainability issues. Show how your idea could be replicated in another city of your choice. Submit your idea/example or comment and vote on ideas that help Jerusalem solve local sustainability issues. Show how your idea could be replicated in another city of your choice. Submit your idea/example or comment and vote on ideas that help Sabadell solve local sustainability issues. Show how your idea could be replicated in another city of your choice. The ideas submitted to all four POWER city websites should tackle one or more of the contest topics listed above. An invitation to the POWER conference to present your idea to international high-profile audience of innovation and sustainability experts. Travel costs will be covered. Networking and matching session with organizations and individuals interested in helping you – financially, materially or with mentoring – implement your idea. Workshop on Innovation Design & Implementation from experts in the field to help you learn how to best proceed in making your idea a reality. Ideas/examples are submitted to the websites of the POWER key demonstration cities. 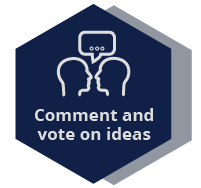 The members of the POWER online communities upvote the ideas and give feedback, thus helping the ideators improve their proposals. The more likes and comments a submission gets, the better its chances to win the contest. Find the results of the submission phase and community voting here. Evaluation of the results of the collaborative community feedback and voting. The authors of the top 20 ideas that received most upvotes and feedback are invited to create a short video or audio record to explain their ideas. Based on these entries and on the feedback the ideas get from the POWER communities, a high-profile POWER jury selects the 10 winning ideas. The authors of the top 10 winning ideas are invited to the POWER conference on October 9th and 10th in Brussels to present their ideas to a high-profile international audience. Travel expenses are covered. They are also invited to a networking session with potential mentors and financial supporters who are willing to help them implement their ideas. The winning ideas are promoted via the POWER communication channels. Individuals and organizations (public and private) from EU member states and Israel can submit their ideas to the contest. Please find the guidelines for participation and the additional terms and contions of the POWER Idea Contest for Sustainable Communities here.